Every parent knows that getting your baby to sleep through the night is difficult and sometimes a long road. 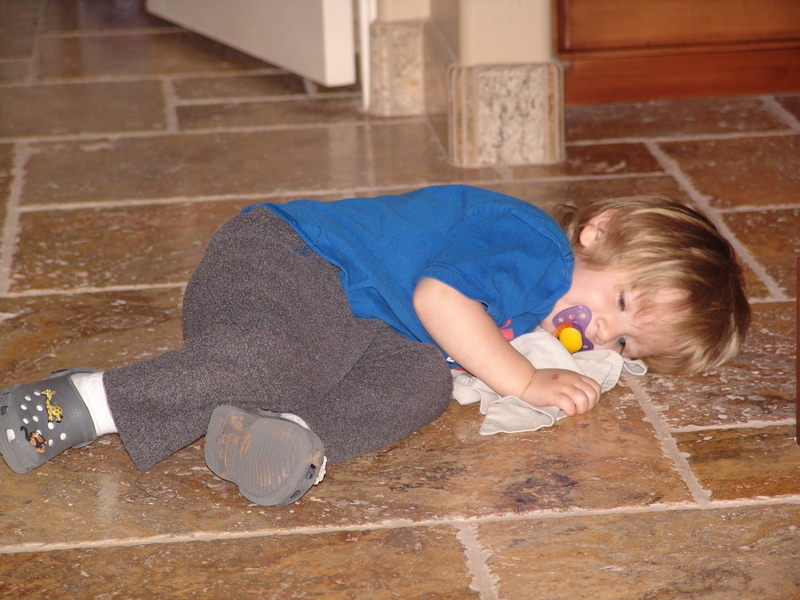 Establishing a routine very early in a infants life is key but another important key is teaching your baby to fall asleep independently and staying asleep. Everyone, including babies, will and do develop sleep associations. These are the things we associate with bedtime. Both my children had a favorite blanket that they took to bed with them. My youngest also had a binkie (which is now a aide in preventing SIDS). Many will say not to use a binkie but we had no choice with Jack. He was tongue tied and it was used to strengthen his tongue. Plus, they do give it up when they are ready 🙂 Whatever it may be make sure it’s safe to be in the crib with you baby and that it’s NOT you! We all love holding and rocking our baby. We as parents only get to hold and rock our babies for a short part of their lives. Experts will say not to hold or rock your baby to sleep every night because then your baby will associate this with them sleeping. When your baby wakes up in the middle of the night, they will not be able to recreate that same sleep environment on their own because it involves you. As your journey begins to teach your baby to sleep on their own start to introduce items to your baby that they can sleep with, such as a special blanket. My Baby Pajamas has soft bamboo blankets by Kicky Pants. Soon your baby will associate these items with sleep. Then when they wake in the middle of the night, they will be able to soothe themselves back to sleep without your assistance by holding their special blanket or item. Don’t forget comfy pajamas! Good Luck and sleep tight! 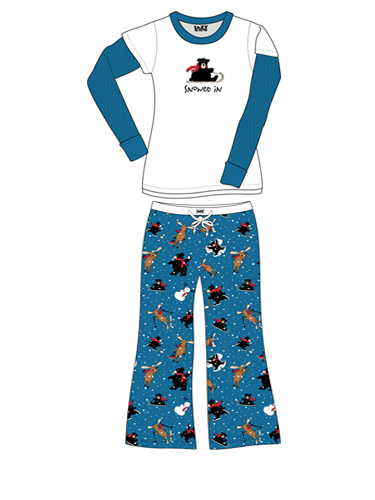 Starting Monday August 2, 2010 you will be able to pre-order your Lazyone Christmas/Holiday Pajamas for the whole family at Mybabypajamas.com. Lazyone pajamas is offering two prints for the whole family this Holiday Season 2010. There is the new Snowed In print and then the best selling Classic Red Moose. Both prints will have infant pajama sizes 6M-18M, kids pajama sizes 2T to size 10 and adult pajamas. You can order online with a delivery date of late October. Or you can order over the phone and your credit card will not be charged until delivery. Order NOW!! 480-330-6380. It’s summer time and many moms wonder what to put on their baby at bedtime. The ideal temperature for the best sleep is 68-72 degrees. If you have air conditioning, make sure you are dressing your baby properly. Long sleeves and long pants would be ideal for a baby in air conditioning. Also, many moms like footie pajamas. Make sure the footie pajamas are not a heavy weight. My Baby Pajamas carries many great options for footie pajamas. Here is the link for footie pajamas: http://www.mybabypajamas.com/footed-pajamas/ . If you do not have air conditioning make sure your baby does not get too hot at night. Putting a fan in their room works great or if you have a ceiling fan be sure to use it. Also, you don’t want to dress them in long sleeves pajamas. 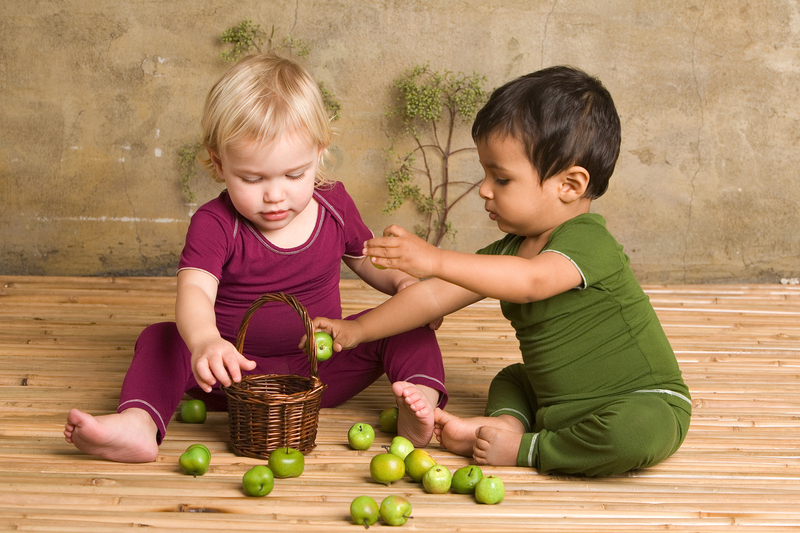 A great option is our bamboo pajamas for kids. 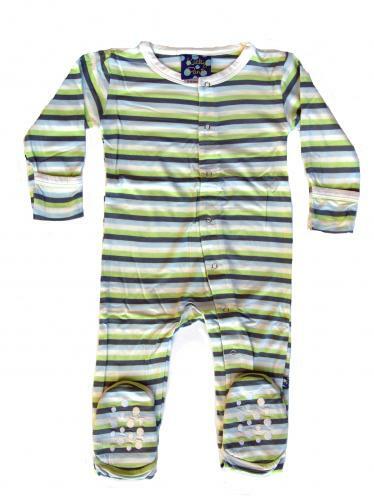 My Baby Pajamas carries Kicky Pants Bamboo pajamas and we offer short sleeve pajamas from 3-6 months to 18-24 months. Kicky Pants Pajamas are incredibly soft and luxurious feeling. Bamboo is an eco-friendly, sustainable crop that grows wild without the aid of fertilizers or pesticides. Bamboo fabric is naturally antibacterial, antifungal and antistatic. Bamboo absorbs water 3-4 times better than cotton, keeping skin comfortable, rather than sticky. And, bamboo stays 2-3 degrees cooler in the hot weather and 2-3 degrees warmer in the cold weather. Here is the link for our bamboo pajamas : http://www.mybabypajamas.com/kicky-pants-bamboo-pajamas/. No matter how old your child may be, please be sure to dress them comfortably. My Baby Pajamas offers a huge selection of pajamas for kids of all ages. My Baby Pajamas has started to receive our Fall 2010 pajamas from Skivvydoodles. And will continue to receive the new line through late August. Shop now while it’s in stock!! 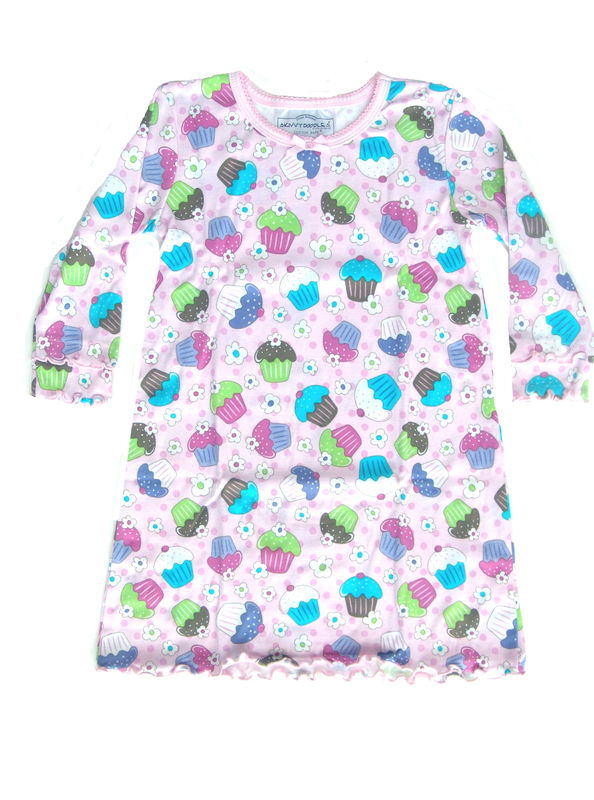 So far we have received the Skivvydoodles Sweet Cupcakes Nightgown, Skivvydoodles Sweet Cupcakes Pajamas for Girls and Skivvydoodles Football Pajamas for Boys. All these pajamas come in sizes 2t to 12 years. 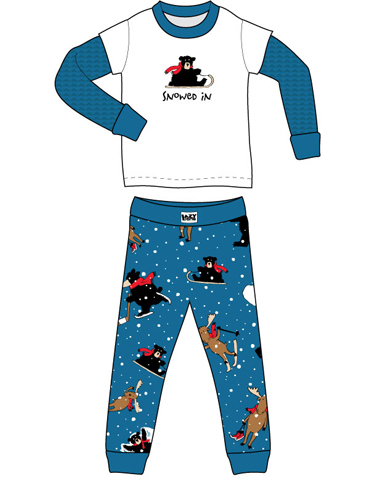 These pajamas were made to fit loose which most kids love about Skivvydoodles!! My Baby Pajamas has marked down our summer short pj’s sets again. All kids short pajamas by Hatley, Lazyone and Skivvydoodles are now 25% OFF!! Also, the Skivvydoodles nightgowns are marked down 25% OFF. Stock up now for next summer. Also, if you sign up for our Newsletter you will receive an additional 10% off your entire order. That comes to 35% off kids short pajama sets!!! Teaching your baby to sleep and the different methods will always be a hot topic. My Baby Pajamas loves researching babies and sleep because we feel every child deserves and should get a good night sleep. In doing our research this week we came also this article on WebMD. It’s all about babies and sleep! How much a newborn should sleep, nap schedules, SIDS Prevention and much more. There are articles and videos to watch. My Baby Pajamas wanted to share this site with you because we felt it was a good one to bookmark 🙂 Here is the link: http://www.webmd.com/parenting/baby/sleep-10/default.htm . Don’t forget My Baby Pajamas has our Bamboo kids pajamas ON SALE NOW. The summer collection is 25% off. 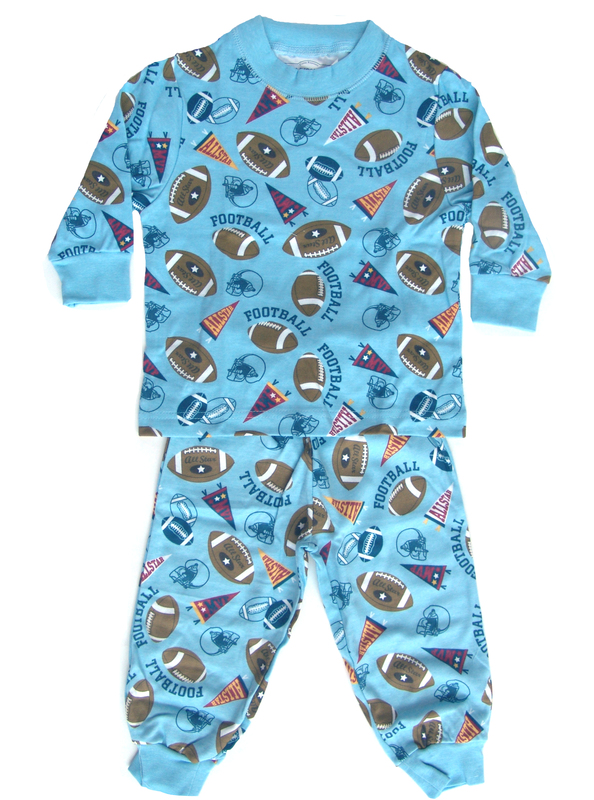 Choose from footie pajamas and short sleeve pajamas. Also, if you sign up for our Newsletter, you can save another 10% off your entire order. After you sign up for the Newsletter, you will receive a code for the 10% off. little boy or girl and that can be the tricky part. easier and simpler way to shop for toddler pajamas. monitored by McAfee or another trusted security program. and you can also get some customer feedback to see which products have a good customer rating. that information through your account’s purchase history. My Baby Pajamas has just marked down the Kicky Pants Bamboo Pajamas Spring Collection. We have marked the bamboo pajamas and bamboo baby blankets down 25% OFF. There is a couple of different styles on sale. 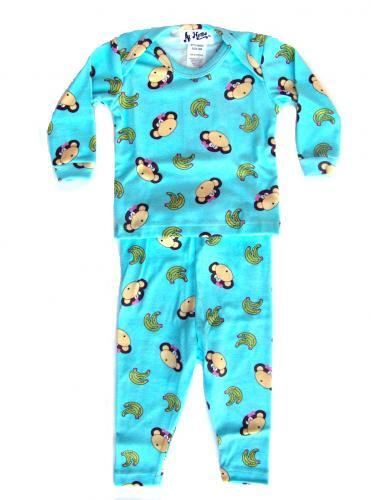 We marked down the bamboo footie pajamas and the bamboo short sleeve and long pant pajamas. Plus, don’t forget the bamboo baby blanket. These make a perfect gift. Mybabypajamas.com is having a SALE. 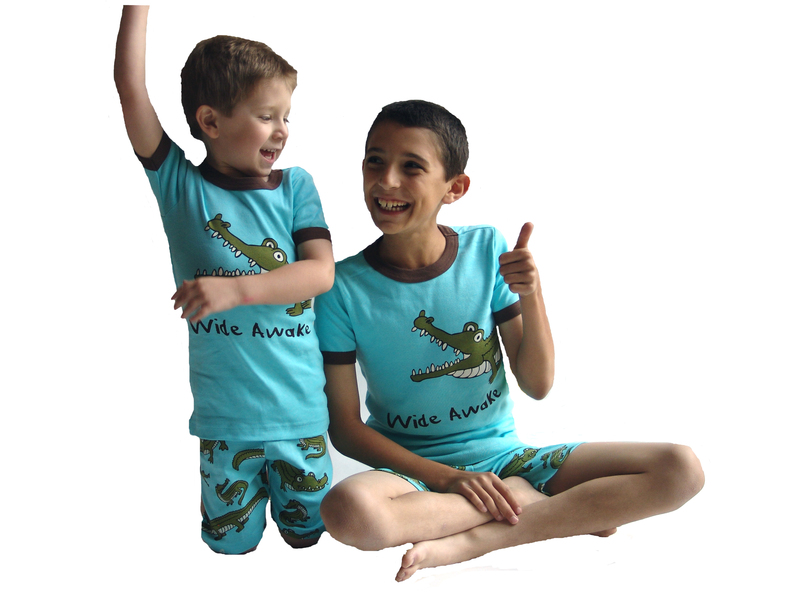 Save 15% off almost all Lazyone short pajamas, Hatley short pajamas and Skivvydoodles short pajamas. Also, selected nightgowns are on sale!! This includes women short pajamas and nightgowns.